Seen the huge success of Flappy Bird and want to have a go at it yourself? Meet Tappy Plane! 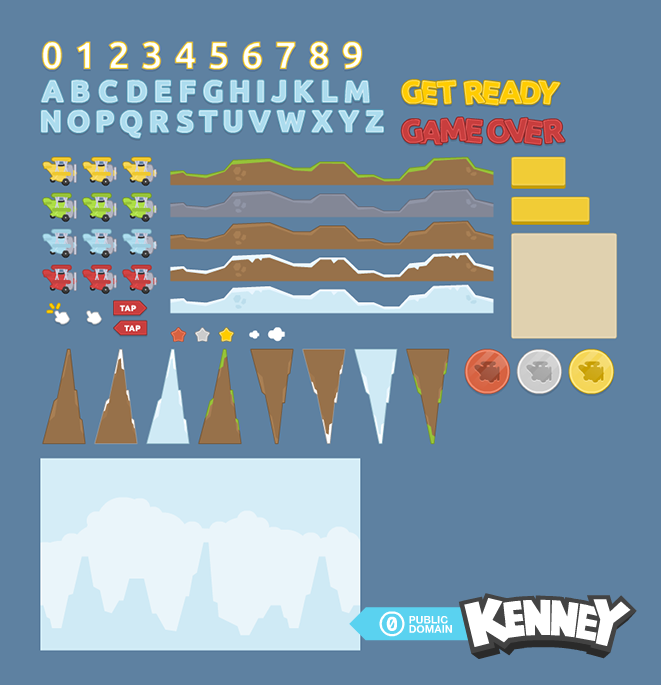 A completely open (CC Zero) set of assets to create your very own goldmine. Plug and play! I think the plane might work nicely in a side scrolling shooter, using your other art packs for the backgrounds and enemies. can you make a plane crash ? I created an android game using the artwork..
Just thought I would let you know I was browsing the net and found this excellent set of free graphics. I also paid a donation to you on your website to get even more graphics. I particularly like the space shooter and platformer graphics a lot. Anyhow, I had some free time on my hands, so I went ahead and made a simple game using this Tappy Plane set. Only took me 2 days, since your graphics were feature complete! You can get it for Android, iOS, or Windows Phone 8; go here to check it out, where you will also see I have credited you. I used this artwork for a tutorial I made on how to make Flappy Bird using the Unity game engine's 2D tools. I mentioned your website in the tutorial, beautiful art! If I ever make any money from it, I am definitely going to make a donation! Thanks for the art! I gave credit in the app. 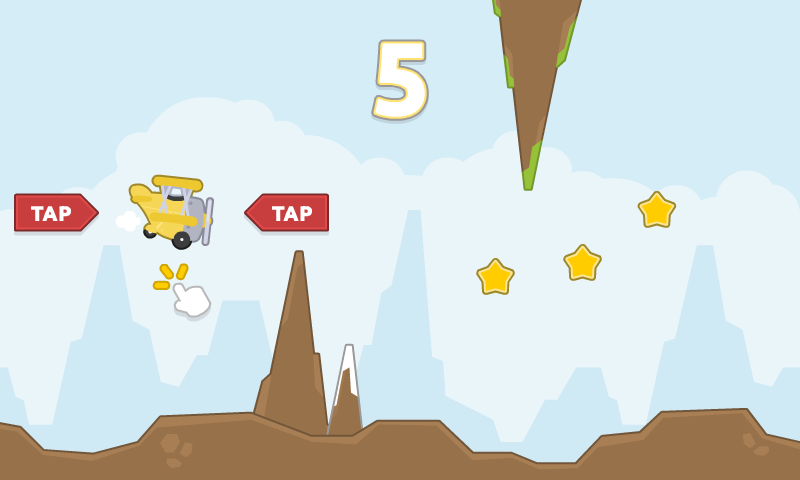 Thanks ever so much for the Tappy Plane graphics, I used them to make my first Android game, Barmy Biplane, which I'm rather proud of. I was hoping I'd be the first to use them but it looks like quite a few people beat me to it! I've given you a credit on the title screen. Check this you will love it..
Great Art! Thanks for sharing. Any chance you have the whole letter set in the "Game Over" red? I have decided to make my cross-platform Tappy Plane completely open source. You can check it out here! I hope you love the game and give it as many 5 ratings as you can! Just search for it on Google Play! hi, brilliant graphics :) Would you alllow me to use this sprite sheet to create a paid app for android? Calvej4, the great thing about Kenney releasing these graphics as CC0 is that he is already telling everyone that they can use them however they want - paid or free. He requests you credit him, but even that isn't necessary. You are an amazing artist. Wish I had such talent. 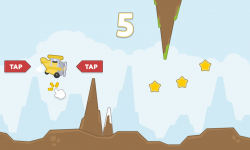 Here is a link to my android game using these graphics, if you would like to take a look. You have been credited in the game. Thanks for all the work you do for the indie community. I have used little bit of your art work in my game that I have submitted. I would be pating link soon. I use your art work in a tutorial.